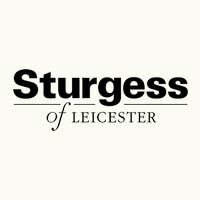 Sturgess Motor Group is a family-run new and used car dealership with sites situated in and around Leicester. The company – originally known as W.E. Sturgess & Sons – has been well established in the area for over 120 years, and offers a range of services beyond the sale of vehicles. Sturgess Motor Group dealerships can provide MOT testing, business leasing, servicing and repairs and parts and accessories. In addition to this, the business works with the Motability scheme and has finance options for customers looking to pay in instalments, too. Sturgess Motor Group also offers a vehicle valuation service for anyone looking to sell their car. In 1897, company founder Walter E. Sturgess returned from Australia and set up a bike shop in Leicester’s West End, which sold Rover Company motorcycles. In 1947, the next generation of the Sturgess family started selling Jaguar cars. This was shortly followed by Land Rover franchise and the opening of a string of showrooms. Sturgess Motor Group gained the Toyota franchise in 1986, followed by Volvo in 2002. The family’s fourth generation now runs the company and have since brought in a number of other prestigious franchises. Customers can find a selection of new cars from brands such as Abarth, Alfa Romeo, Fiat, Hyundai, Jaguar, Land Rover, Suzuki and Volvo across Sturgess Motor Group dealerships. On top of this, the company’s dealers stock a variety of used vehicles from these manufacturers and models from Audi, Citroen, Ford, MINI, Mercedes-Benz and Nissan, amongst other marques.